Enhance your curb appeal with Kirkwood Roofing's roof repairs! This treatment is an ideal solution for heavily stained roofs because it brings back your roof's original beauty and also safeguards against future algae infestation. It is the only treatment available that reinstates the original aesthetics without damaging your property or landscaping, all while being quick and affordable. There is no damaging power washing involved; it is a water-based solution applied by spraying the roof at a very low pressure. 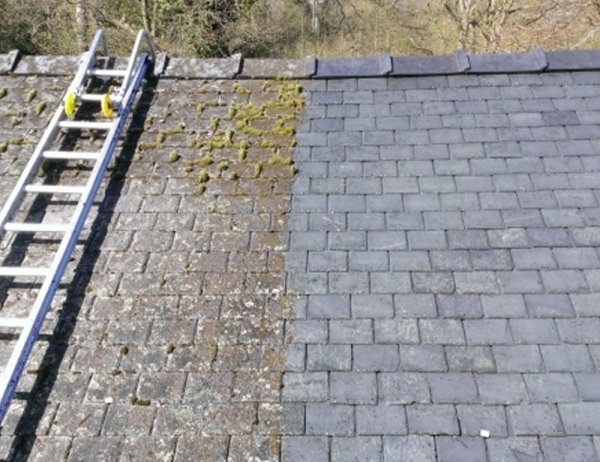 Step 1— The roof is cleaned so that all existing debris, algae and stains are removed. Step 2— This stage defends against future algae infestation. Step 3— The solution adheres to the roof for long-term protection. Our roof technicians are the best in the industry, not only because they will revive your roof's beauty, but because they will protect your property over time by eliminating the need for costly and potentially detrimental maintenance contracts. Ask us about our warranty. 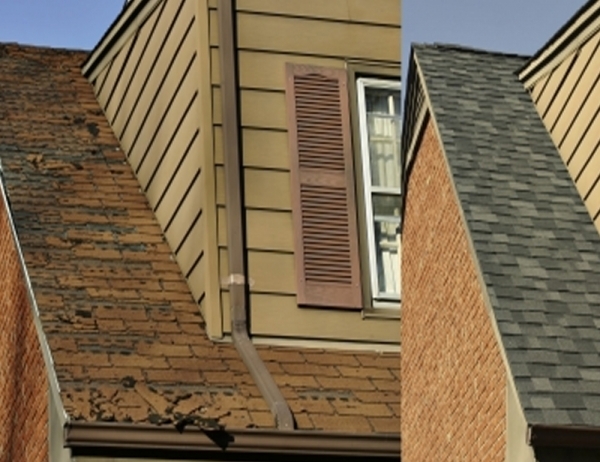 We’re St. Louis' leading source for roof maintenance services! As long as the water stays out, most of us think very little about what might be happening above our heads. Yet, the roof (possibly more than any other component of your home's exterior), takes a beating. 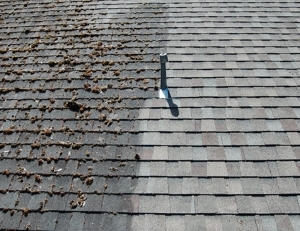 Over time, a little damage or wear can grow until one day the roof ceases to keep the water out. With regular roof maintenance, you can extend the service life of your roof and avoid sudden, upsetting leaks. Few things are as off-putting and damaging to your roof as algae. In our region, we see many roofs nourishing healthy algae growth. While many modern asphalt shingle manufacturers apply an algae-resistant coating guaranteed on a prorated basis, eventually normal weathering exposes the shingles where the algae can gain a foothold. When this happens, don’t wait! Get in touch with the experts at Kirkwood Roofing and we can offer a variety of remedies to keep the algae away. If your roof has the unsightly problem of algae, Kirkwood Roofing has the answer. Using our excellent and proven system, we can gently eradicate the algae, apply water-based algae retardant and seal the shingles to keep your roof free from staining again. 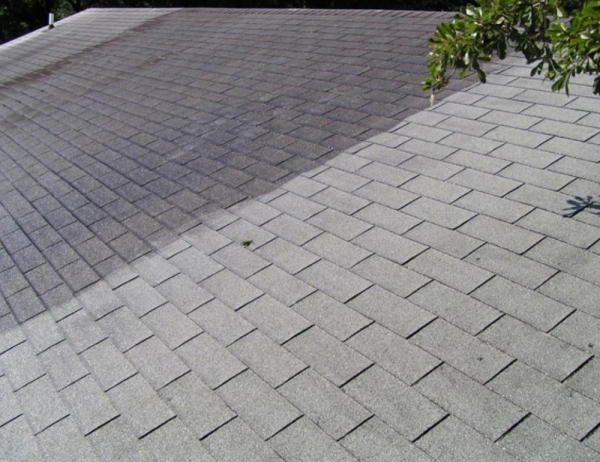 Our process softly washes the shingles rather than subjecting them to a harsh, damaging power wash. Once treated, you'll be amazed at how beautiful your roof can be again. Don't let algae destroy your roof’s livelihood! 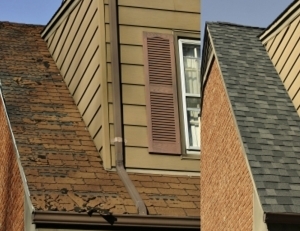 Not all weather damage will garner a full roof replacement from your insurance. Sometimes the weather can wipe out part of a roof while leaving the rest intact. As long as the covering material remains on the market, our experts can fix the damaged areas to good-as-new condition and tie it into the rest of the roof. Additionally, we're skilled at repairing any poorly installed sections if a previous homeowner made the mistake of not choosing a competent roofing contractor. If you're selling your home and need to know exactly what's happening up top, we’re the team with the answers! We offer roof inspections and consultations, and are happy to provide you with our honest assessment of the roof's condition. If we think it needs repairs or replacement, we'll offer a free estimate. If we think it's still looking good, we can provide that opinion in writing, if needed. A wise decision is to have regular check-ups performed on your roof to detect any developing issues and foresee future component failures. We offer a low-cost plan to inspect your roof every two years. We'll look for any issues with your shingles, flashings, rubber components on pipe jacks, sealant strips, chimney caps, brick mortar, skylights and gutters. We can then tune it up as needed. 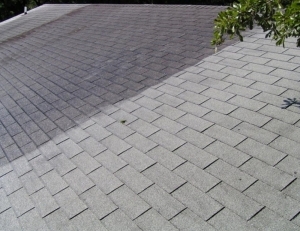 Remember, the more angle changes on your roof, the greater the possibility of leaks. 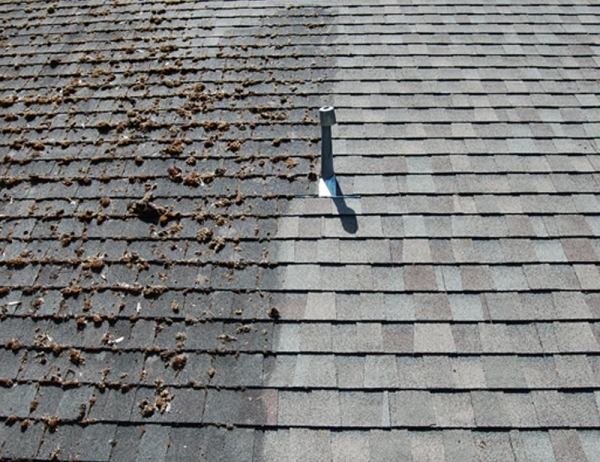 If your roof is architecturally "cut up", we highly recommend a maintenance and tune-up plan. Contact Kirkwood Roofing today to learn more about roof repairs, cleaning and our inspection and maintenance plans!